The article states that the funding will be broken up in a number of different ways, but since 2005, research grant applications from UNC schools have increased by 43 percent, while grant awards have increased by 17 percent. The total funding proposed by these grants has increased by 111 percent since 2005, and the total funding awarded has increased by 33 percent. “These results are a remarkable tribute to the work our faculty are doing to improve people’s lives, to make sure North Carolina is a global research and development leader, and to make the world a better place,” said UNC Chapel Hill Chancellor Carol Folt. According to a UNC Chapel Hill news article, the University of North Carolina at Chapel Hill received $777.8 million in research funding during 2013. The total funding being awarded has increased by nearly $11 million, or 1.4 percent, from $767.1 million awarded in 2012. “These investments will continue to pay huge dividends for the University and for the people of North Carolina, supporting thousands of jobs, leveraging the state’s investment, and providing economic and other benefits to communities across the state,” Folt said. The NIH is the university’s largest source of funding, providing $366.9 million – 66.9 percent – of federal research money. Other top funding agencies included the U.S. Agency for International Development, which provided $49.7 million (9.1 percent); the National Science Foundation, which provided $39.3 million (7.2 percent); and the U.S. Department of Health and Human Services, which provided $38.1 million (7 percent). Given the impressive funding statistics at the University of North Carolina at Chapel Hill and Duke University, lab suppliers marketing university lab equipment and hoping to increase lab sales leads may want to consider attending Biotechnology Calendar, Inc. North Carolina life science marketing events. If you are a lab supplier interested in networking with others in your field, Biotechnology Calendar, Inc. invites you to attend our annual Chapel Hill BioResearch Product Faire™ Event and Duke BioResearch Product Faire™ Event. Biotechnology Calendar, Inc. is a full-service science research marketing and events-planning company that organizes life science marketing events at top research universities across the country, and has been doing so for 20 years. 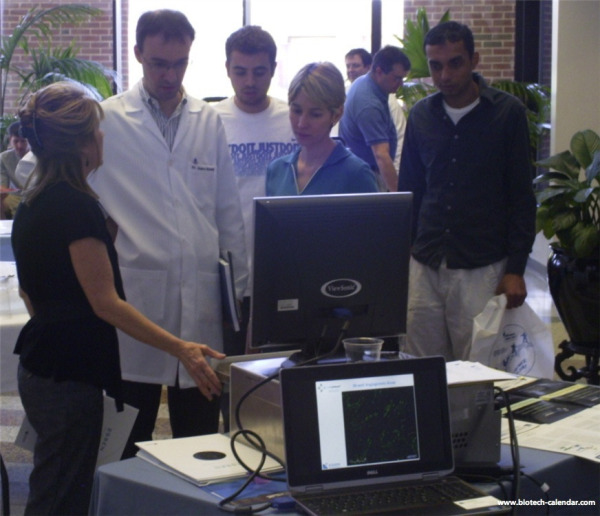 If you are interested in increasing lab sales leads and marketing your university lab equipment at life science marketing events closer to home, we encourage you to look into our 2013 calendar of events. For more detailed funding statistics on the University of North Carolina at Chapel Hill or Duke University, or to learn more about the life science marketing events at these schools, click on the buttons below.